At Exinda, we pride ourselves on being a company that listens to our customers and we strive to find innovative ways to help them solve their network problems. Many of you have told us that managing our appliances across multiple locations can be difficult and time consuming. To address this feedback, we’ve launched an all-new management center. Available now, Exinda Management Center is the perfect solution for organizations that want to manage network health and application performance across multiple locations. 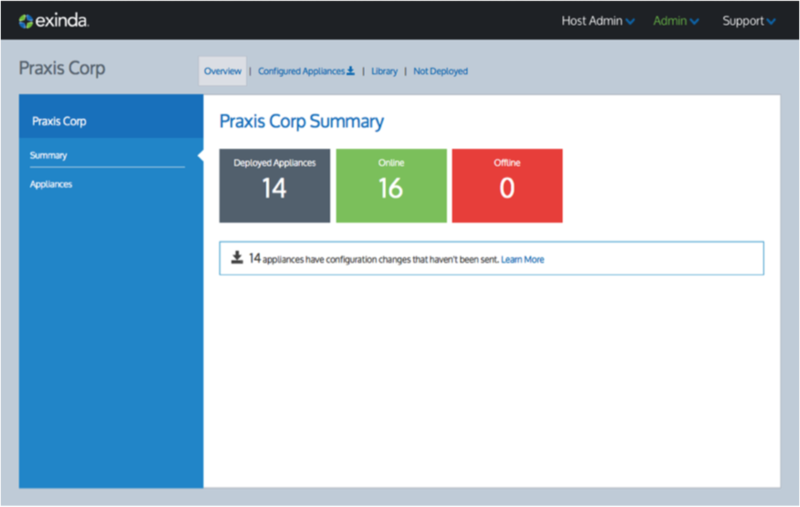 Management Center provides IT professionals with the ability to administer network policies and manage appliance configurations across the entire organization from a single console. Management Center offers one solution to manage the way users, devices, traffic and applications behave across the entire network, freeing IT managers from logging into individual appliances. What’s more exciting is the promise of what Exinda Management Center has to offer in terms of big data. 79% of organizations have not fully integrated their data sources across the organization. This means decision-makers lack a unified view of data, which prevents them from making accurate and timely decisions. This number is staggering and represents a huge opportunity for IT professionals who recognize what their network data is worth, but lack the tools necessary to unlock it. Management Center has been engineered to make it easy to analyze how users interact with the network and future releases will emphasize development of enterprise-wide reports which will enable IT professionals to take advantage of this intelligence for network expansion, application deployment, and contingency planning purposes. Want to learn more about Exinda Management Center?